Aspen Wall Lamp - Glass Shade. Our aspen wall lamp features a 3-D aspen sprig profile and alabaster glass shade. Aspen Wall Lamp - Glass Shade. 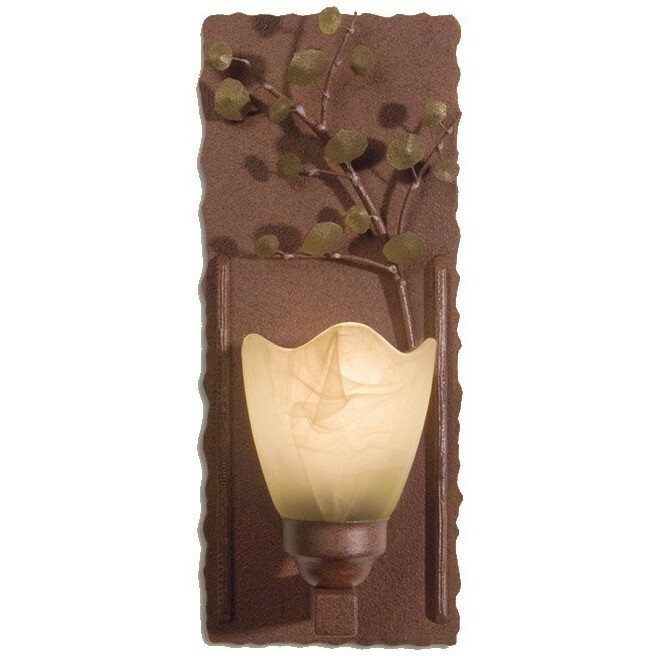 Our aspen wall lamp features a 3-D aspen sprig profile and alabaster glass shade. This rustic yet elegant wall lamp uses one 100 watt bulb and measures 6" wide x 15" tall and is 5" deep. Choose either rust or black finish and right or left position aspen sprig.